Eric Botbyl is a full time studio potter living and working in Humboldt, TN. He received his BA in Ceramics & Sculpture from Union University in 2001 and regularly attends workshops related to functional pottery and ceramic art. Eric’s work and writings have been featured in numerous newspapers, Mid South Living, Number Magazine, and Ceramics Monthly Magazine. Eric actively shows his work through numerous galleries and shops, as well as regional and national juried exhibitions. In 2014 he was accepted into the 22nd Annual Strictly Functional Pottery National which is considered to be one of the most prestigious surveys of contemporary functional ceramics in North America. 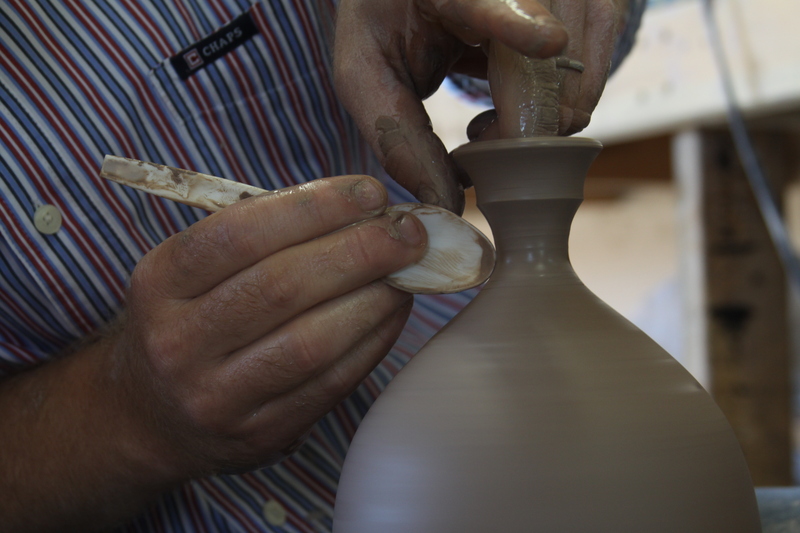 He has taught many workshops throughout the South East and opened his own studio for community clay classes. Eric has designed and constructed 5 wood burning kilns, including the catenary cross-draft at his alma mater, which is one of the largest wood burning kilns in Tennessee. Eric and his wife Jill are also the proprietors of the Companion Gallery, a retail gallery featuring over a dozen nationally recognized ceramic artists.